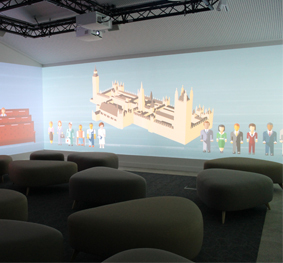 Challenge: The Houses of Parliament wanted to bring Parliamentary history to life in its new Parliamentary Education Centre with a 360 degree projection experience. 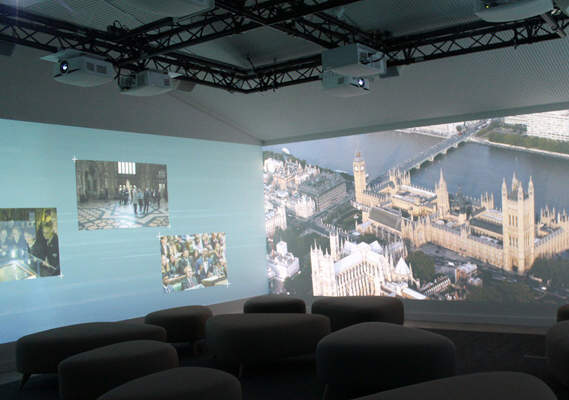 Solution: International audio-visual experts Electrosonic installed eight EH503 ProScene projectors with short throw lenses to project the continuous 360 degree video around the walls. 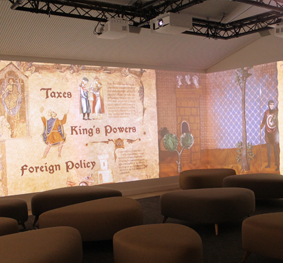 The imagery and sound from six Tannoy Di 5a powered speakers created an immersive experience giving students a feeling of actually being at the centre of political history. 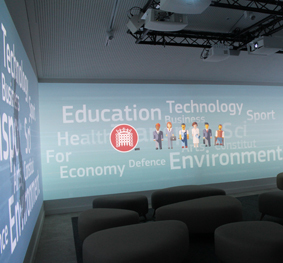 Results: “The Discovery Space is an outstanding visual experience that is the show piece of our new Education Centre,” said Dr. Emma-Jane Watchorn, Head of Education at the Houses of Parliament.